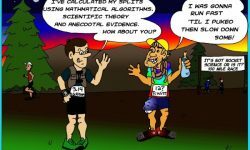 The Happy Trails comic takes a look at the Hardrock 100 and Badwater 135. 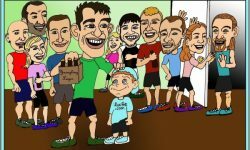 A tribute to the release of Scott Jurek’s book, Run and Eat. After three years of commanding iRunFar, Editor-in-Chief Bryon leaves his website in (mostly) able hands and goes for a run. 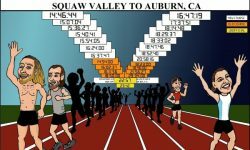 An April Fool’s look at the Barkley Marathons (with updates and results). 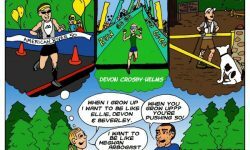 The debut of EJ Murphy’s Happy Trails comic on iRunFar – It’s a Bird.